An oft-repeated question these days, and one not necessarily confined to sports media, is whether 29-year-old wrestler Kisenosato will make it to sumo’s highest rank. Or is he destined to remain a perennial bridesmaid? Clearly at the peak of his career, the ozeki (champion) and Ibaraki Prefecture native finished the previous tournament in March in Osaka as runner-up, with a strong 13-2 record. A tournament victory would have guaranteed his promotion to yokozuna (grand champion). It matters to many fans, because sumo, the quintessential Japanese sport, hasn’t had a native-born grand champion since Takanohana retired in 2003. The last five to be promoted to the top rank — one born in American Samoa; all others, Mongolia — were Musashimaru (promoted in 1999), Asashoryu (2003), Hakuho (2007), Harumafuji (2012), and Kakuryu (2014). The latter three are still active. Sumo being Japan’s native sport, it goes without saying that many fans are becoming impatient to see this insufficiency addressed — and soon. 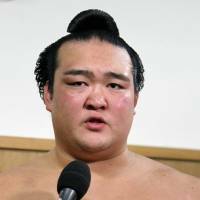 That’s why the media’s attention had been directed at Kisenosato, who got off to a brilliant start in the May tournament. He defeated all comers up to the 13th day, when he was solidly trounced by Hakuho. His hopes of tournament victory and possible promotion were then dashed beyond redemption when he lost to yokozuna Kakuryu the following day. Hakuho, meanwhile, went on to achieve a perfect score of 15 wins, while also extending his all-time record to 37 tournament victories. Though disappointing to many, Kisenosato’s failure to win the tournament, and thereby gain promotion, should not diminish the fact that his rivalry with Hakuho has become legendary. Flash magazine (June 7) noted that on the second day of the 2010 Kyushu tournament, it was Kisenosato who ended Hakuho’s string of consecutive victories at 63 — just six wins short of sumo’s all-time record set in the 1930s by the late Futabayama. Kisenosato also halted another string of Hakuho’s consecutive victories at 23 in the January 2011 tournament and again, in July 2013, at 43. If Kisenosato was devastated by his failure to win the Emperor’s trophy in the May tournament, at least he didn’t let on in public. On the night the tournament ended, May 22, Friday magazine (June 10) reported that about 120 of Kisenosato’s supporters gathered to fete his runner-up performance at a hotel in the city of Ichikawa, Chiba Prefecture. 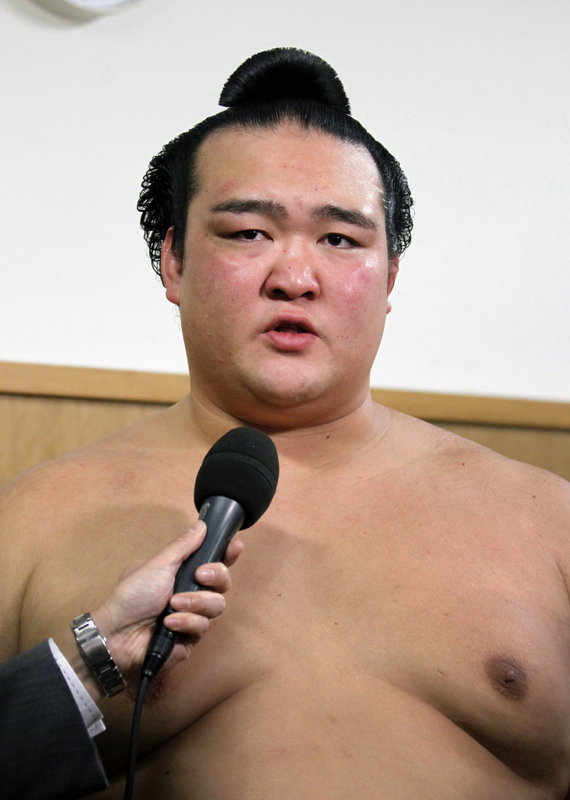 Friday noted that after Kisenosato narrowly missed a tournament victory at the Kyushu competition in November 2013, he cut back on his alcohol consumption and trained even more rigorously, while refraining from extracurricular activities such as TV variety show performances. In his 27 tournaments at the rank of ozeki, his win-to-loss percentage is an outstanding .701 — said to be highest of all the ozeki during the postwar period. Yet up to now, he still hasn’t managed to win a single tournament. Tokyo resident David Shapiro, a long-time sumo commentator and author of “Sumo: A Pocket Guide,” disputes the notion that the powers that be in sumo are under that much pressure to bend the rules on the basis of nationality. “They’re not all that concerned with the birth of a Japanese-born yokozuna,” Shapiro told The Japan Times. “The gate at all of the annual tournaments is once again quite strong. Daily TV ratings during said tournaments are equally so. Applications to host the jungyo (provincial tours that take place between the tournaments) are coming in left, right and center.